It's convenient and compact for one pretty sweet deal. I’ve always loved baking. I attribute it to my sweet tooth (most of the time, I’ll fight you over who gets to lick the spoon!) and the fact that I’ve always associated baking with fond holiday memories. 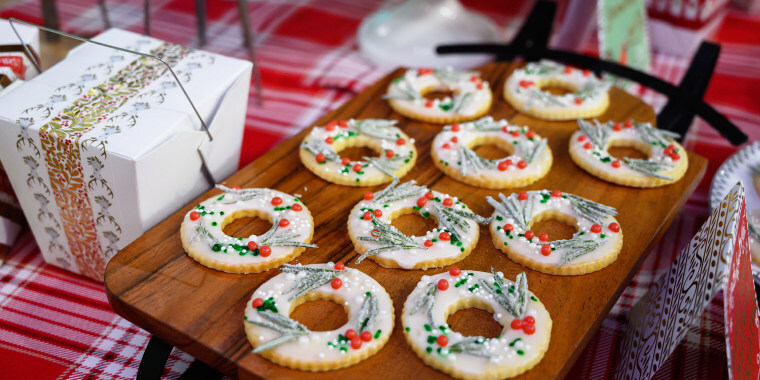 Growing up in my house, baking was always reserved for special occasions and huge holidays (Christmas, Easter and Thanksgiving were always the big three). My mom’s never been a big fan of baking — she’s always felt cramped in our small kitchen and hates the cleanup afterwards — so I relish these sporadic chances to bake. As I’ve gotten older, baking sessions with mom have become even more special, but my solo baking game has also blossomed. Over the past year, I’ve tested my skills on countless tasty recipes (not gonna lie, my boyfriend loves it!) and have gotten serious about building my baking appliance repertoire. For my last birthday, my sister got me a hand mixer in a gorgeous blue color, and I was thrilled. I’m obsessed with all things cookie dough, so I’ve put this mixer to good use so far! I know it’s a lame excuse, but as much as I love using my hand mixer, I always pay the price for it afterwards — I’ve got no upper arm strength (I’m working on it! ), and a bit of carpal tunnel from typing all day long, so mixing is always a bit of a workout. For years, I’ve dreamed of getting my own fancy stand mixer so I wouldn’t have to put in the arm work — but most brands are so expensive, I could never justify the purchase. 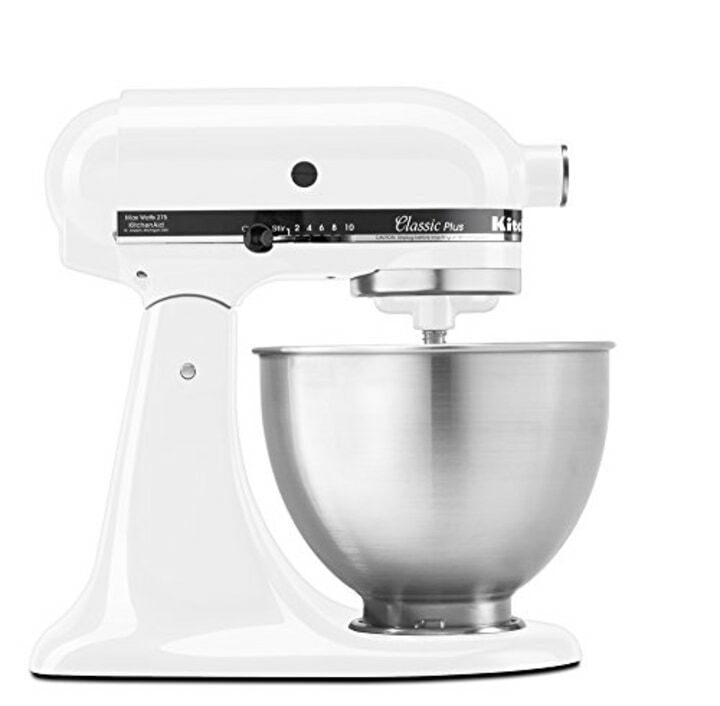 So when I stumbled across this mixer from Dash a few months ago (you can score it for $31 on Amazon), I jumped at the deal. I’ll admit I was a bit nervous about the price at first — maybe there was a reason other brands’ mixers cost so much more, and this one wouldn’t rise to the occasion — but I couldn’t pass it up, and I’m glad I scooped it up when I did. My Dash mixer is pink, but it comes in a range of pretty colors for every personality, and also has six preset speeds to help you get the perfect mix. 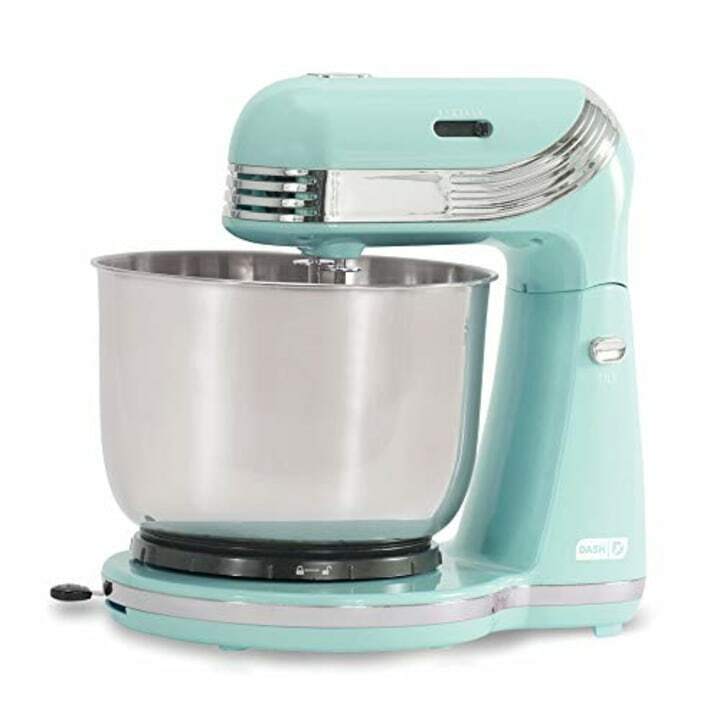 Dash calls this one an “entry-level mixer” and for someone like me who’s new to the world of stand mixers, it’s just about perfect! Now I can mix cookie dough, frosting and more without putting my arm muscles (or lack thereof) to the test. Something else I love? The fact that I can start the dishes while my mixer does its thing. Talk about multitasking! The mixing bowl is adjustable too, so you can make it spin while it mixes or keep it stationary, depending on your needs. Granted, I’ve only used this gem for a few months, so I can’t compare my experience to that of someone who owns a more expensive model, but for the price, convenience and compact size, I’d say this is one pretty sweet deal. If you're looking for a more classic option, this KitchenAid tilted-head stand mixer has over 1,200 Amazon reviews. You can get it for 41 percent off right now!